We offer you a new positive music on hold Jingle Bells Screensaver. Stunning, cozy winter landscape. Excellent graphics. And singing Santa`s helpers! 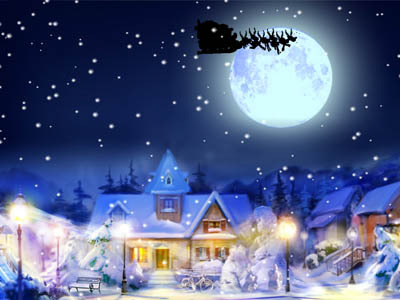 Be careful not to miss the sight of Santa, because he races now with gifts, and maybe he will be at home! Animated screensaver will appeal to everyone, especially to children. Installation will take you just a couple of seconds.